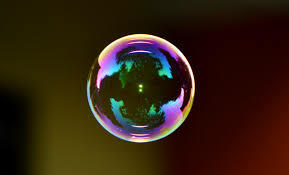 It’s been quite a running joke surrounding our city and school, no doubt perpetuated by other schools and students, that LC is a “bubble.” The joke goes, since the city is surrounded by an atmosphere in which inhabitants are not exposed to “real” problems, LC graduates enter the world after high school sheltered, unaware, and generally unprepared for the world. But is living in a safe environment, a bubble, really a bad thing? The perceived issue with La Canada when it comes to fostering a learning environment, is that the school and city allow students to become over comfortable with the atmosphere, and subsequently adopt a careless attitude, meaning that when it comes to eventually jumping out into the real world, La Canada kids enter into a huge shock. However, this perception ignores the fact that the reason students become over comfortable is ultimately because of one characteristic of the city: it’s safe. Imagine that the students of the city are newborn babies. It’s common knowledge that if babies are exposed to more germs and bacteria when young, they are less likely to contract those same diseases when older. Therefore, babies who are kept inside their entire youth, and thus not exposed to any germs or bacteria at all, are more susceptible to illness and disease later on. Yet, one would be hard-pressed to find a mother who willingly flings her child into the filthiest of situations in order for later success. In the same way, safety should not be considered a bad thing. Although safety is at the root of the recklessness of some La Canada students’ behavior, it’s also the reason that so many parents want to come to La Canada and have their kids grow up in this city. The immediate purpose of school and education is not for kids to learn what it’s like in the real world. It’s to learn, and safety is undeniably beneficial for creating an effective learning environment. The beauty of La Canada schools is in its high standing, simultaneously combined with it’s lack of overall pressure. Despite what the kids might tell you, La Canada students are hardly pressured at all to succeed. True, the standards of parents might often be set extremely high, but the nature of the school does not add to the pressure. Teachers consistently remind their students that grades, high school success, and even their own classes are not the most important things in the world, letting students set their own pace to work. However, if a student wishes to compete for the top, there are certainly those who are willing to compete alongside them and give them a run for their money. La Canada might not be a perfect school, but the environment is certainly better than that of quite a few of our rivals. The option of competition means the school hasn’t seen the emergence of cheating rings or private tutors being hidden from classmates (San Marino, looking at you), or clubs that have to have limited acceptance due to the sheer number of people looking to participate (Ahem, Arcadia). True, maybe La Canada students won’t be the most exposed by the time we entire college and the real world, but the environment we live in is unique and effective. And it’s all because we live in a bubble.